On March 25, the Kurdish-led and American-backed Syrian Democratic Forces (SDF) transferred three Russian orphans, aged five to seven, to a Russian government delegation in northeast Syria. The transfer marked the beginning of the repatriation process for children of ISIS members, like reported by eurasiareview.com. This is just one event in a string of sporadic repatriations to Russia. In January 2019, the Presidential Commissioner for Children’s Rights in Russia, Anna Kuznetsova, helped repatriate thirty Russian minors from a prison in Baghdad. Processes like these may occur more frequently in the coming months as the U.S.-backed alliance of Syrian fighters has defeated ISIS territorially. Moscow now must decide what to do with Russian female ISIS members and children who remain in Iraq and Syria. Leading up to its intervention in Syria in 2015, Russia reportedly allowed its citizens to leave the country to join ISIS. Reuters reported that Russian government officials allowed radicalized Muslims to cross the border to join ISIS before the Sochi 2014 Winter Olympics. Estimates reveal that thousands of Russian citizens, predominately from Chechnya and Dagestan, joined ISIS. As of 2018, there were approximately 41,000 ISIS members in Iraq and Syria originating from the Middle East and North Africa, Eastern Europe, and Central Asia. Russia has a disproportionately high number of Russian citizens who have joined ISIS, with a lower percentage of that group having returned to Russia. A 2018 report by the International Center for the Study of Radicalization (ICSR) indicates that Russia had as many as 1,000 female members, 1,000 minors, and upwards of 5,000 total members of ISIS. Of these, only 73 minors and 24 females have returned to Russia. With such a small number of returnees, ISIS children and women are either dead, imprisoned, unaccounted for, or living in refugee camps. As the Syrian conflict atrophies and the territorial fight against the Islamic State ends, Russia must figure out what to do with the relatives of these ISIS fighters. Currently, the Kremlin has not articulated a clear policy, despite having previously played a role in allowing for the movement of people from Russia to Syria and aspiring to partner with the United States in a counter-terror alliance in the Middle East. Today, Russian citizens are now in SDF-run camps, raising the broader question about what to do with these thousands of people who travelled to join the now defeated caliphate. Countries in the region—and around the world—must now face this question and develop a coherent policy. The return of female ISIS members, who have given birth to stateless children, to Russia is complicated. Part of the difficulty in formulating a policy response is that defining ISIS members is not easy—it is not always a simple exercise to categorize people. Determining the victims and perpetrators is not clear-cut, nor is projecting who will and won’t become a future threat. The greatest challenge for Russia is what ICSR refers to as affiliates. ICSR groups all foreign nationals born into ISIS or who travelled to Syria and Iraq (willingly or coercively) as ISIS affiliates. This would include the men who people often refer to as “foreign fighters,” the homegrown “Jihadi Jane” terrorists who leave their country to join, the brides who foreign fighters allegedly forced into joining ISIS, and minors. The minors category includes anyone under the age of eighteen. This category then breaks down into sub-categories of infants, children, and teenagers. The sub-categories are important because there is an obvious distinction between how to treat a two-year-old infant born in ISIS-held territory and a fifteen-year-old who left home to fight. In addition, there is little political upside for countries to repatriate their citizens from Iraq and Syria. If they return and don’t reintegrate into society, or worse, commit terrorist attacks at home, citizens will blame the government. It is easier to ignore the problem, and hope they die or another country takes them. The question of what to do with women and children in Iraq and Syria has presented a challenge to Russian policymakers. Russia’s actions are not always what they seem, and Moscow’s security apparatus is hesitant to repatriate its citizens—considering it encouraged them to leave in the first place. Russia’s FSB director Alexander Bortnikov has stated that the women and children Russia returns from Iraq and Syria “are used by the leaders of terrorists as recruiters or perpetrators of terrorist acts.” Meanwhile, the Kremlin has publicly expressed sympathy for the children of ISIS fighters. Russia’s Lenta has also reported that Ramzan Kadyrov, the President of Chechnya, is committed to saving the women and children in ISIS. President Kadyrov declared, “We [Chechnya] . . . will not stop the search and return of Russian citizens while there is at least one child and one woman in Iraq and Syria.” Russia has been more focused on returning the children of ISIS members than it has been on returning female ISIS members. What’s more, Russia may have ulterior motives for returning the female members. Marcin Mamon, writing in Foreign Policy, argues President Kadyrov’s real interest for his humanitarian campaign is to return Russian moles who had infiltrated ISIS. The international community has not formed a unified response to address ISIS members still in Iraq and Syria. The Iraqi government has funneled many female ISIS members through its judicial system. Iraq’s expedited trials and questionable verdicts have allegedly been, at times, more about punishing Sunnis than prosecuting ISIS perpetrators. The SDF has asked the international community to create an international tribunal to prosecute ISIS detainees and has not yet received support. As the American-led territorial fight against ISIS wraps up, Russia has not welcomed an international response to prosecute Russian ISIS members or return them. Russian media sources have illuminated the importance of returning the Russian children, but have avoided public discussion of policy towards the treatment of female ISIS members. It may be expedient in the short term for Russia to do this, but in the long run, the Kremlin will need to answer hard questions. 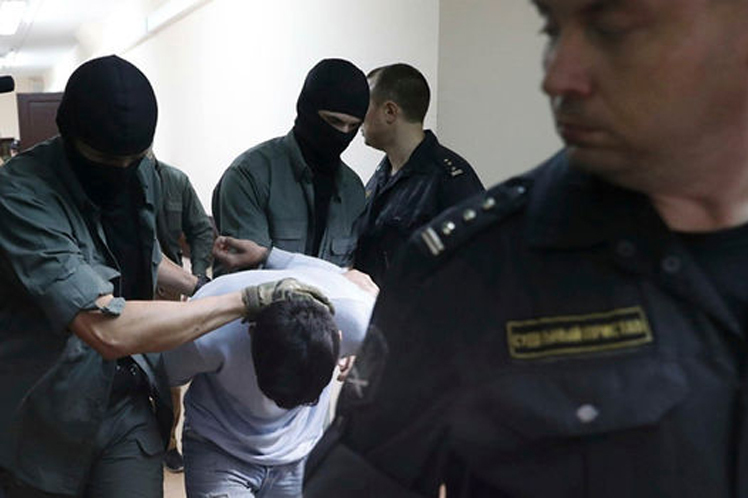 Rather than deflect responsibility, Russia should process Russian ISIS members through its own justice system.